This weekend, Mark Bradford will address the Otis College of Art and Design’s Class of 2018 at its graduation ceremony, and receive an honorary degree from the institution. 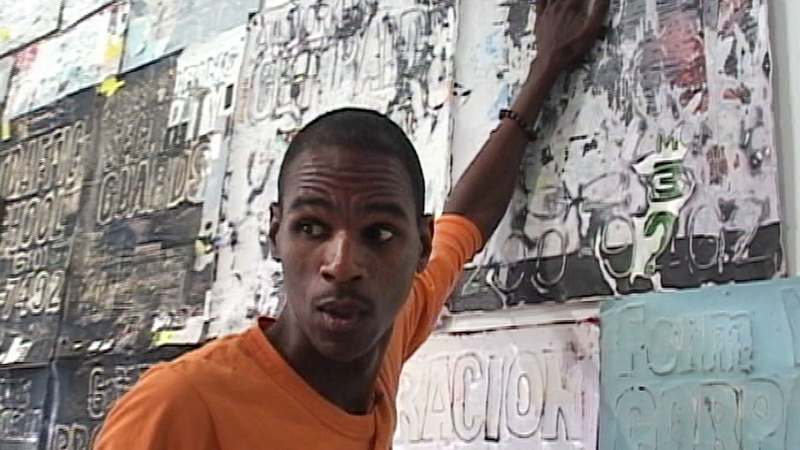 MARK BRADFORD COMMENCEMENT ADDRESS, Sunday, May 13, at noon. OTIS COLLEGE OF ART AND DESIGN, 9045 Lincoln Boulevard, Westchester, Los Angeles. This entry was posted in ART, CONVERSATION, EDUCATION/ACTIVISM and tagged Mark Bradford, Otis College of Art and Design on May 11th, 2018 by Barlo Perry. An exhibition of new paintings by Henry Taylor will be up in Tokyo through mid-May. In Los Angeles, Taylor will be honored at the ICA LA benefit brunch, with a tribute by Mark Bradford. HENRY TAYLOR, through May 19. BLUM & POE, 1-14-34 Jingumae, Shibuya, Tokyo. ICA LA BENEFIT BRUNCH, Saturday, May 12, at noon. Top: Henry Taylor, Island: Antiparos, Greece, 2017, acrylic on canvas, 40 x 36 x 7/8 inches. Bottom: Henry Taylor, Untitled, 2017, acrylic on canvas, 18 x 24 x 3/4 inches. Image credit: © 2018 Henry Taylor and Blum & Poe. All rights reserved. This entry was posted in ART, CONVERSATION and tagged Blum & Poe, Blum and Poe, Henry Taylor, Laura Hoptman, Mark Bradford on May 6th, 2018 by Barlo Perry. Paintings executed this year by Mark Bradford comprise the inaugural exhibition at Hauser & Wirth Hong Kong. MARK BRADFORD, through May 12. HAUSER & WIRTH HONG KONG, 15-16/F, H QUEEN’S, 80 Queen’s Road Central, Hong Kong. Above: Mark Bradford, My Head Became a Rock. Book cover credit: Hauser & Wirth. Mark Bradford, I finally touched the sky, 2018. © Mark Bradford. Photographs by Joshua White. Images courtesy of the artist and Hauser & Wirth. This entry was posted in ART, BOOKS/PERIODICALS and tagged Hauser & Wirth, Hauser & Wirth Hong Kong, Mark Bradford, My Head Became a Rock (Bradford) on March 26th, 2018 by Barlo Perry. This week at the Orpheum Theatre, curator/critic Katy Siegel and the Broad Museum’s Un-Private Collection program welcome Bradford and Lockhart for a conversation about community engagement and their recent work for the biennale. MARK BRADFORD, SHARON LOCKHART + KATY SIEGEL, Wednesday, August 16, at 7:30 pm. ORPHEUM THEATRE, 842 South Broadway, downtown Los Angeles. 2017 ART + FILM GALA HONORING MARK BRADFORD AND GEORGE LUCAS, Saturday, November 4. MARK BRADFORD: TOMORROW IS ANOTHER DAY, UNITED STATES PAVILION. VENICE BIENNALE, through November 26. Top: Mark Bradford, Tomorrow is Another Day installation view, 2017 Venice Biennale. This entry was posted in ART, CONVERSATION and tagged Art + Film Gala LACMA, Katy Siegel, Little Review (Lockhart), Mark Bradford, Orpheum Theatre, Pawel Machcewicz, Sharon Lockhart, The Broad, Tomorrow is Another Day (Bradford), Venice Biennale on August 14th, 2017 by Barlo Perry.